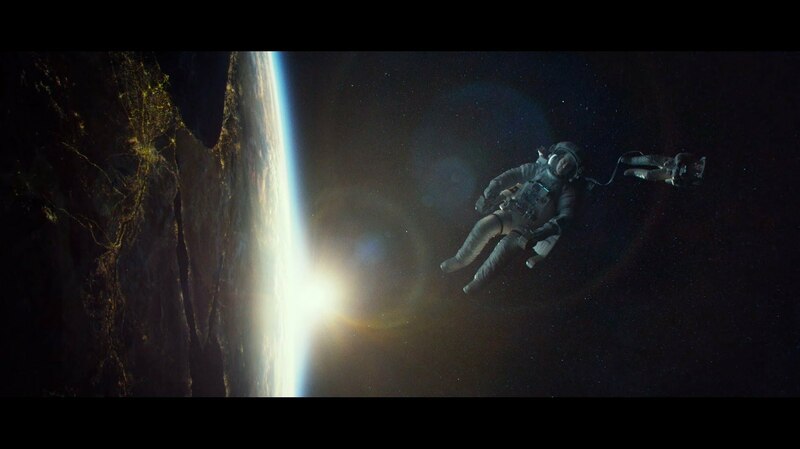 Being lost in space has to be one of the most frightening scenarios imaginable. Simply floating away, too fast to stop and with nothing hang onto, knowing that you’re doomed to drift inevitably until you run out of air. It’s the stuff of nightmares, really. That’s the kind of feel director Alfonso Cuarón was clearly going for with this movie clip that was featured at this year’s Comic Con. Starring Sandra Bullock and George Clooney, the story focuses on two astronauts who are trying to return to the Explorer space shuttle after encountering a massive satellite debris field. As always, Cuarón’s brought his talent for wonderful long-take shots, but also utilized technology he developed specifically for the film, but was reticent to discuss. Apparently, this had to do with the patents that were “still pending”. In any case, the end result is quite dazzling and frightening, examining what would happen if two people were lost in space without a ship. I for one would probably crap in my spacesuit, which would make for a very long and uncomfortable death as I floated off into space! The movie is set for release on October 4th. Enjoy! Want to See Your Home from the ISS? Looks terrifying. Maybe I’ll go see it.